Some news has been added by contributors as comments on previous blog posts. This is a resume of news that has been sent by email. The roll-out of NCR Post and Go machines seems to be gaining momentum, so the List of Post Offices with NCR machines may not be up to date. Lists have been compiled by others, and I will try to find a way of making these available to our readers. "Belfast main office at Bridge Street/High Street is the only office in Northern Ireland with PandG machines. Previously it had 2 Wincor Nixdorf machines. I was surprised to see that they had been replaced by 4 NCR Machines (67 to 70). I was told they went live on Easter Tuesday 22nd April. All 4 machines have Machins. Office number remains 011704 on all 4 machines. 2nd Class strips: 68 and 69 are MA12 whereas 67 and 70 are MA13. I also enquired as to whether any machines had been installed elsewhere in N. Ireland and was told not at present." John reported that Truro has 4 NCR mchines live from the 8th May - so no more accusations of misdeeds there! Julia reported that Croydon's 6 NCR machines were live by 14 May. "I met with the Manager of the (Muswell Hill London) branch who was not even aware of the 28th April introduction date for the change." And of course the change did not happen on Wincor-Nixdorf machines as I found when I visited the northern-most Post and Go office in the country at Inverness. I took the opportunity to get some Union Flag Post and Go stamps, an interesting choice in view of the independence referendum campaigning going on at the moment! I also bought this while I had the chance. In my experience few people have kept the Post and Go Labels mint or on cover, and the opportunities are reducing daily! PhilaKorea - Stuart reports that Jersey Post have decided not to take their Post and Go machine to Korea for the international exhibition. 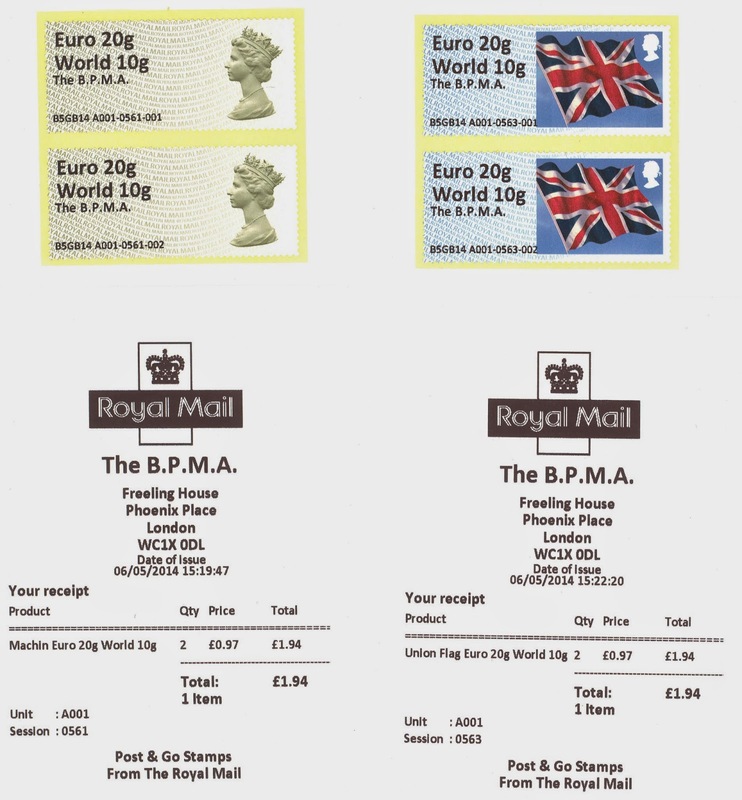 The inclusion of the barcode margin was at the request of Post Office Ltd. All Royal Mail products need to include barcodes as standard. We decided to add the margin to avoid putting the barcode in the design area of the product. 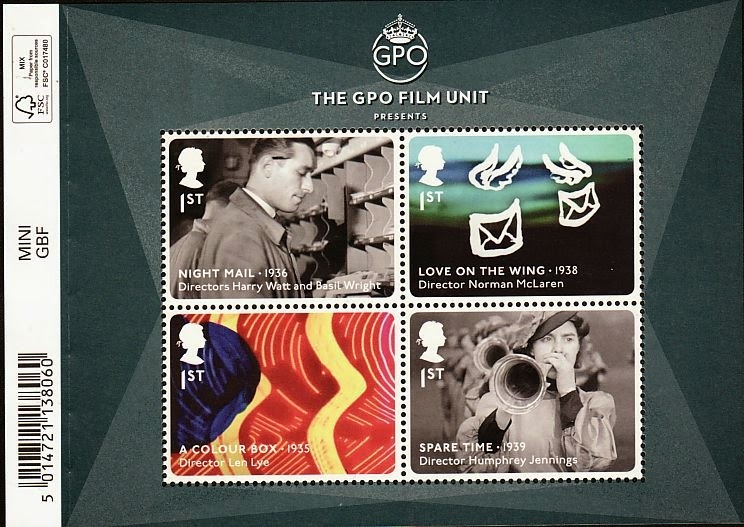 The sheets sent out from Tallents House have had the margin removed because it is not intended to be part of the collectable product. Thanks to Chris for the image. An NCR machine has Spring Blooms on it. Not sure where yet. 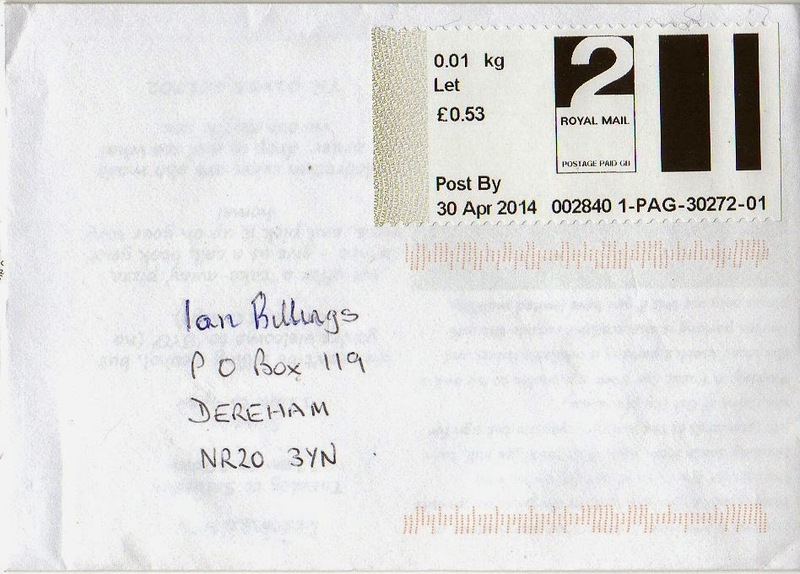 Thank you - let us know as soon as you can, with a picture to ian@norphil.co.uk. cambridge po had the flowers in 2 of the ncr machines on the 15th. they were supplied with just 2 rolls.